At SoAmpli, we understand that taking care of your personal brand on social media doesn’t always have allocated time in your schedule. Between that urgent email to send, and that presentation to get ready for, making time to post or schedule updates for our multiple social channels can easily fall at the bottom of the list. But an active social media presence helps you raise your influence online, expand your network to include more prospects, clients, industry experts and colleagues, and, ultimately, create opportunities for your career and your business objectives. 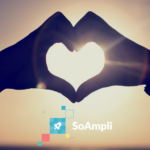 This is why we are so excited to announce the release of our new SoAmpli iOS app, which will help you increase your social media activity by at least 200% with as little as 10 minutes per week spent on the app. 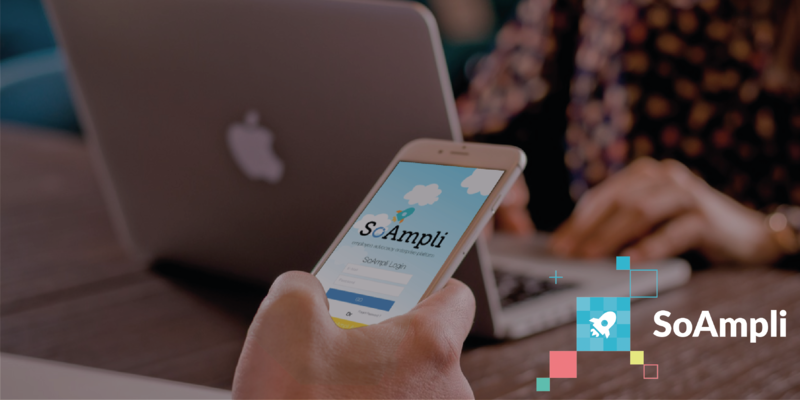 This new iteration of the SoAmpli Mobile App marks a new frontier in the overall user experience for both sharing and importing content when you’re on the go. The world of social media is exciting and fast-paced, and the mechanical act of importing your best stories to your company’s dashboard should not be what you spend time on. You can download the mobile app NOW from the iTunes store. 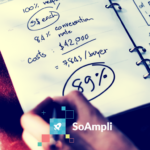 If you’d like to know more about how SoAmpli can help you build your presence on social media through social selling, please get in touch!